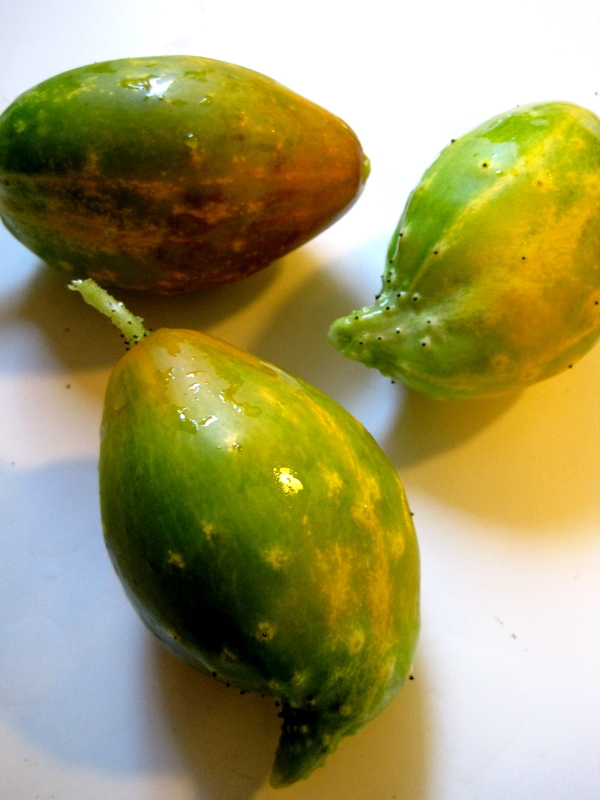 I have a couple such culprits… may have to try this, even though I truly do not really need anymore pickles this year! I am wondering if green cucumbers would work just as well. What do you think? @Lorelei, do you mean green cucumbers that aren’t overripe and yellowed? Fresh greens don’t work with this recipe, but there are plenty of other sweet-sour pickle recipes to try. Check the Ball Blue Book. I found this page as I had to Google senfgurken when a friend posted she was canning some. Thank you for the laugh! Your writing is very clever. Can white vinegar be used in place of apple cider vinegar? Sure, Tracy. The flavor won’t be as good, though. 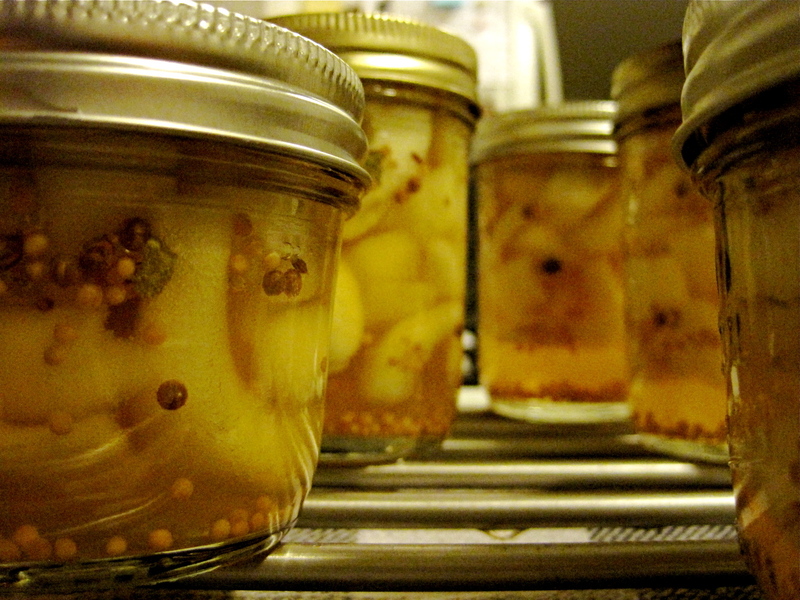 Just make sure it is at least 5% acidity for canning. Here goes nothing. Just put my very first ever badge in the water bath.Sure hope they will not be mushy !! So when you say soak overnight, does that mean you are adding water to the salted cucumber slices? or just letting them sit. And also – should you cover them? @JWAL, no water. The cucumbers will release a lot of liquid. You can cover with a towel to keep out fruit flies, or plastic wrap. Just try it and see, @JWAL. You can always discard them later. You are so incredibly funny! Thank you from my heart, as I have quite a few monsters calling my name as I write. I remember the neighbor lady making these when I was a kid I could not remember what they were called but when I found this page I did remember she just called them gurkens and I love them but nobody in my family remember the recipe, my parents are gone and so is she. I can’t wait to make some & try them! THANK YOU! Good Info, just what I was looking for, before I tossed out the big yellow cukes. Options are good. Tossing out is bad. What is the status of the seeds in yellow cakes? better or worse? Are these seeds worth saving? Save for seed, if it’s not a hybrid, which won’t breed true. Can I use black whole mustard instead of white seed? Hi Shirl, try it! The only risks I see are that the black seed might color the pickling liquid and that black seeds are more pungent. Maybe try a batch with half and half. Can I just put the spices right in the jars, before adding the brine? Seems like it would be more evenly distributed.